You must be a member of the Hamburg Spontaneous Activities Group to attend this activity. Would you like to join this group? I would like to invite you for Bollywood dancing. Please do wear some light clothes so that you can enjoy to the fullest. Bring some water and some snacks for yourself. We don't mind sharing. Sport/jogging shoes would be good. The training is for both men and women. 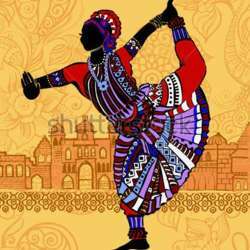 We will start with traditional Indian classical songs mainly Kathak and Bharatnatyam and then slowly proceed towards high voltage Bollywood music. There will be a trainer. No need to be expert. Just come and enjoy!. Please remove the shoes before start of the session. The target is to loose some calories on Sunday evening and make some new friends Last time we were 20 people, let's see how many this time. If you cannot make it on time, you can come bit later as well.